Macular degeneration (or age-related macular degeneration) is the leading cause of blindness in the United States. It usually affects older patients of retirement age and above. Initial signs of macular degeneration may be picked up earlier, in the 40s and 50s. This is important since there is evidence that intervention with nutritional supplements and lifestyle changes may reduce the development of this blinding disease. There are two forms of macular degeneration: dry and wet. The dry form is usually less severe and reading vision is often maintained. The dry form results from degeneration of the outer layers of the retina — the light absorbing photoreceptors and the retinal pigment epithelium (RPE). The RPE forms the blood retinal barrier between the outer retinal circulation (choriocapillaris) and the outer retina (photoreceptors). With age, the waste products of vision accumulate beneath the RPE in little mounds called drusen. These yellowish proteinaceous and fatty-like deposits impede the flow of oxygen and nutrients and result in degeneration of both the RPE cells as well as the visual cells (photoreceptors). 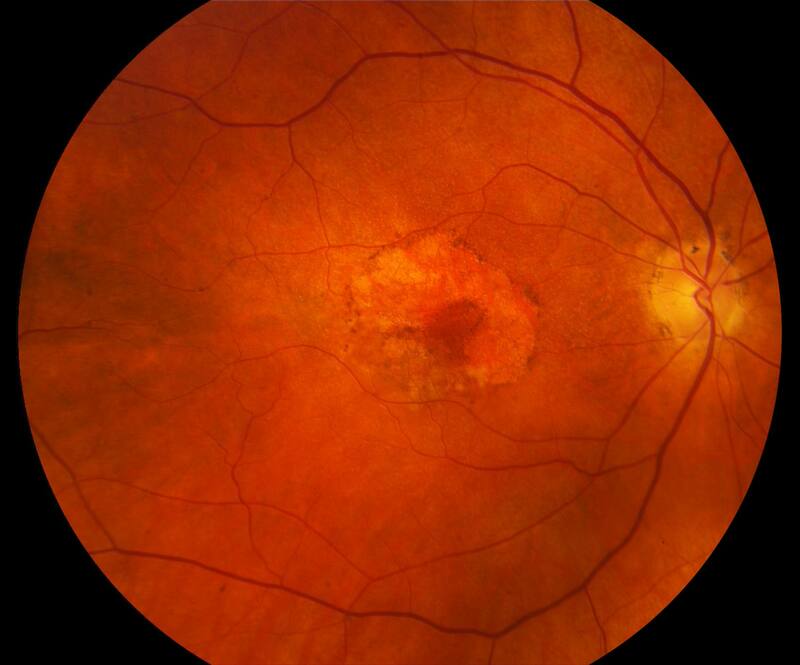 In the wet form of macular degeneration, abnormal blood vessels grow from the outer retinal circulation (choroid) beneath the RPE and sometimes into the retina itself. These blood vessels can leak fluid and protein and eventually form a scar. With early diagnosis of these blood vessels, injections of special medications into the eye may be used to inhibit the growth of the blood vessels and prevent further vision loss. Fluorescein angiography, Optical Coherence Tomography (OCT), and Indocyanine Green Angiography (ICG) may be used to image the macula and guide treatment. In addition, Retina-Vitreous Associates Medical Group participate in a number of clinical studies using frontier therapies for the treatment of the most blinding form of macular degeneration.